3:52 PM — Miraculously, the interior is still standing, and the famous stone archways are still bearing weight. 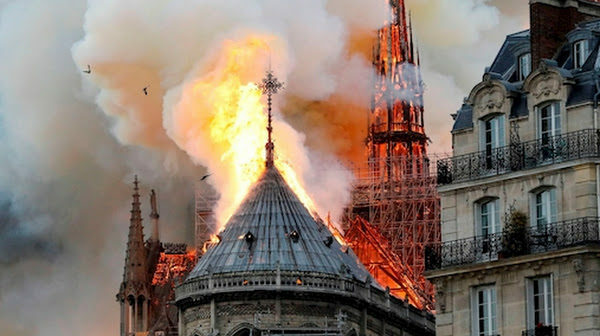 2:15 PM — In what might be the best news possible, under the circumstances … the Paris police chief just said Notre Dame’s structure has been saved, and the fire stopped from spreading to the northern belfry. In fact, they say both towers are going to be safe. President Emmanuel Macron has canceled a national address because of the current emergency.